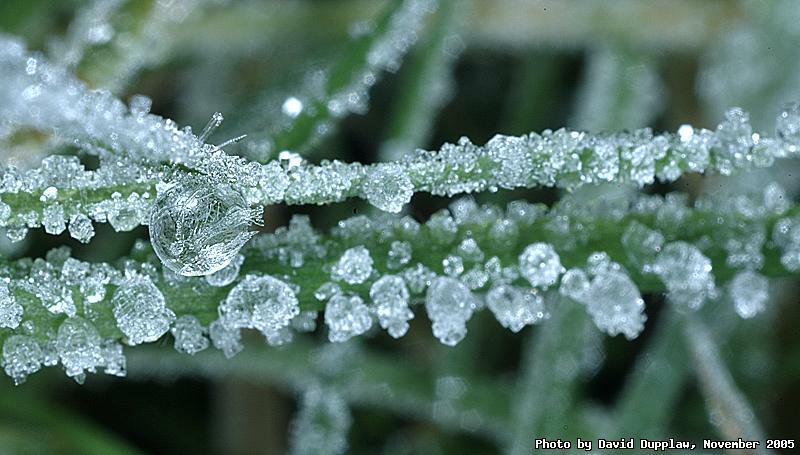 This is a little droplet frozen in time due to a hard hoar frost. It reminds me of the photos I have seen of the ice moon of Jupiter called Europa. The photo has been slightly desaturated and the white balanced pushed back to a slightly lower temperature to give it that cold feel. Sorry, still not managed to get out and take some photos. Shame on me.